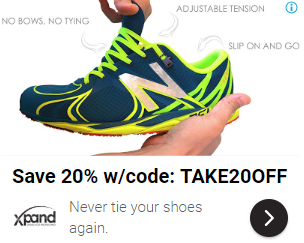 Xpand Laces are the simplest no tie shoe lacing system on planet earth. In 2015, Xpand’s no-tie lacing system raised $1.2 million on Kickstarter and Indiegogo from thousands of people looking to add comfort and style to their footwear. 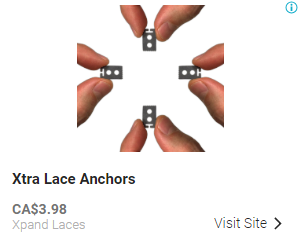 Since it’s crowdfunding success, Xpand has sold 100’s of thousands of laces. Xpand Laces was born when the company founder Chuck Harris unfortunately contracted West Nile Virus. One of the symptoms was severe swelling in his feet. The simple task of putting on and tying his shoes became a very painful experience. He quickly realized there had to be a better way. Chuck went on to devise a patent pending lacing system that allows the shoes to stay comfortably secure with innovative mechanism that removed the need to tie your shoes ever again. Launching crowdfunding campaigns in 2015, and raising $1.2 million proved that there was a market for innovative lacing solutions that were both comfortable and stylish. Post crowdfunding phase, Xpand Laces set out to introduce their product to the world with Facebook, Instagram and Google advertising. Being a fairly inexpensive product in an environment where the cost to advertise was growing, it was critical to find efficiencies in ad campaigns to keep CPAs down while scaling the ad spend and growing ROAS. Commerce Garage partnered with Xpand and took on the challenge of keeping CPAs low and ROAS on the rise all while scaling ad spend. We’ve helped Xpand Laces more than 2x their YoY revenue. Since starting with Xpand Laces we’ve scaled all digital ad spend by 114% while keeping CPA and ROAS on target, allowing Xpand to double their revenue within 12 months. Although Facebook and Instagram are exceptional channels to advertise on, it’s a very competitive space. To reach new audiences and scale the advertising spend, the FB team at Commerce Garage rigorously tested new creative ideas and formats. This allowed FB algorithms to optimize for best variations. The testing process continued by taking top performing combinations to generate more creative content and create more winners. 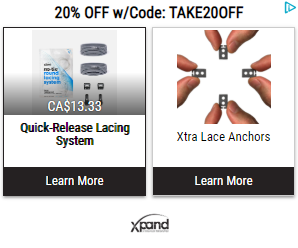 This creative strategy in combination of Commerce Garage’s campaign build and optimization methodology allowed Xpand Laces to scale at a faster rate and expand internationally. Slip on your shoes every time, hassle-free. Utilizing everything that Google Ads offers, we launched a number of campaigns targeting new customers at every stage of their journey, from display to search and all the way down to shopping campaigns. With active daily monitoring and optimizations we were able to reach and convert customers at every stage while continuously increasing the return on ad spend.